How do we know that we are making progress? 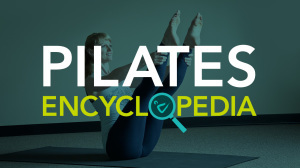 In Pilates, we don’t count repetitions, and we don’t care about adding more weight? So how do we measure our progress? Let me explain to you the four stages of learning, which, by the way, apply to all forms of learning, not just Pilates. If you really really focus and pay as much attention as possible, then you’re able to keep your neck free and soft. As soon as you start chatting with your teacher, boom - you’re back in the old habit. You’ve lost your form. Time to refocus. Finally! Your hard work has paid off. You are now able to talk as much as you like and think of other things, and your shoulders are down. Always. It’s now a new habit. Your shoulder and neck now work for you whether you focus on them or not. Once you’ve made it to stage four, you or your teacher will give you a new challenge. We’ll focus on another body part or a more challenging exercise, and the process will start over. Yes, you heard that right. The four stages start back from the beginning. It’s a continuous cycle, but with each new habit, you’re feeling a bit better, and your joints hurt a bit less. Don’t let this get you down. Looking at this cycle realistically will help in the long run. If you know what you’re up against, then you won’t get so disappointed in the short term. No-one likes to feel like we’re not good enough.